The smell of cinnamon is synonymous with Christmas for me. 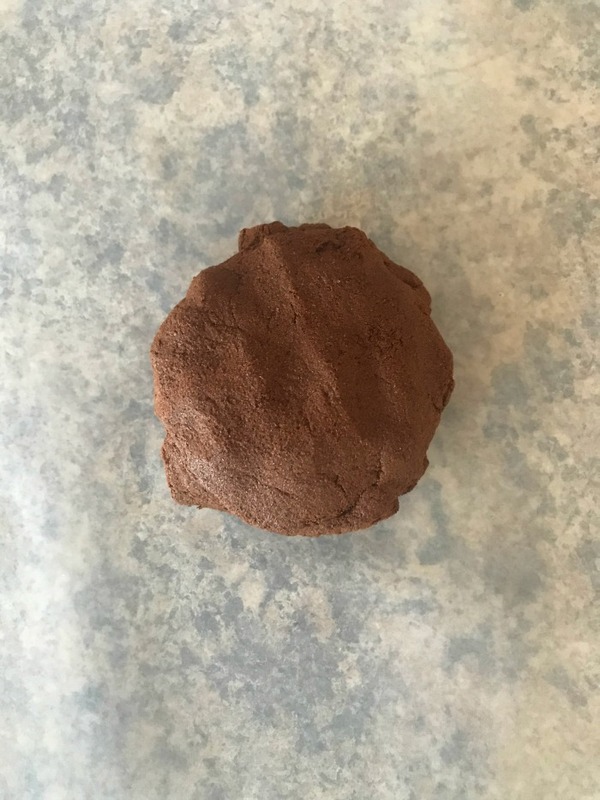 As a child, I made lovely cinnamon clay-like ornaments with my grandmother that when hung on the tree gave the whole room a sweet and spicy scent. To this day, that smell takes me back to my childhood Christmas’. For the past three years, now, we have been participating in 10 Days of Kid Made Christmas an Ornament share with some of our favorite kid bloggers. This year we have a special treat because we’ve added kid made gifts too! 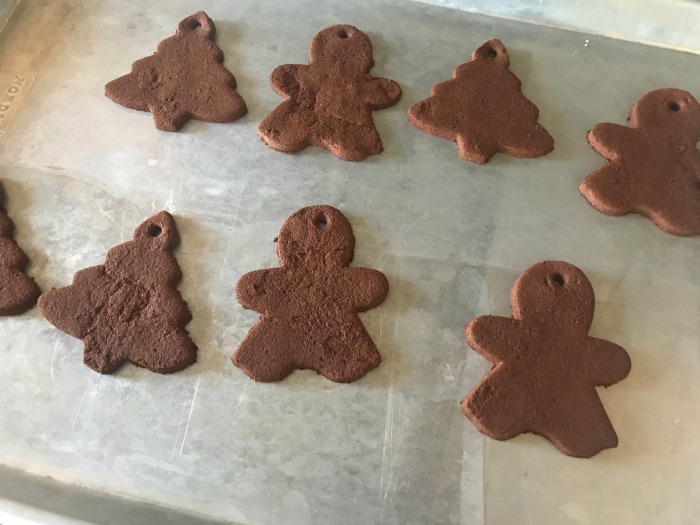 Each of these wonderful kid made ornaments is inspired by a favorite story book – in the past we’ve done “how the Grinch stole Christmas” and “The Day the Crayons Quit” and this year we decided on The Gingerbread Man to incorporate these favorite ornaments of mine from when I was a child. 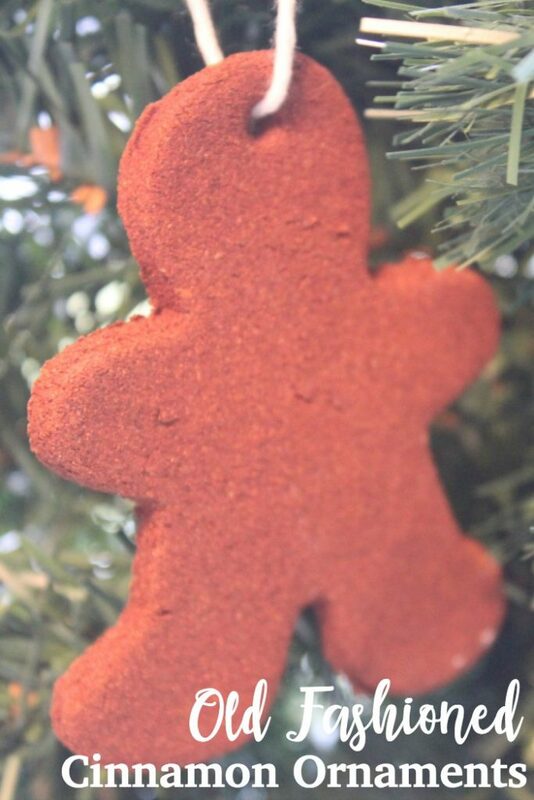 One of my children’s favorite story books to read is the “Gingerbread Man” – they add that into our Christmas books each year, with cinnamon clay gingerbread men hanging on your tree, how could you not?! Not only do these two ingredient cinnamon ornaments smell amazing, but they fit the rustic feel of our “farmhouse” Rustic style decor. The kids get to hand make the ornaments, after reading a favorite book, and they match the Christmas theme. 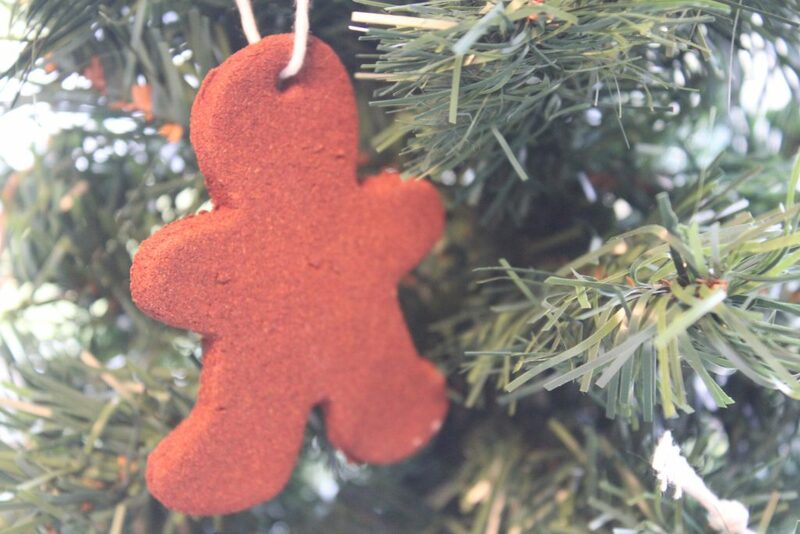 These ornaments really are that easy to make, just two ingredients, a cookie cutter, and some string or ribbon is all you need! In a bowl, mix together 4 oz. of cinnamon and approximately 10 tablespoons of applesauce. Add 1 tbsp. at a time until your dough forms. Dough should be moldable but not crumble. 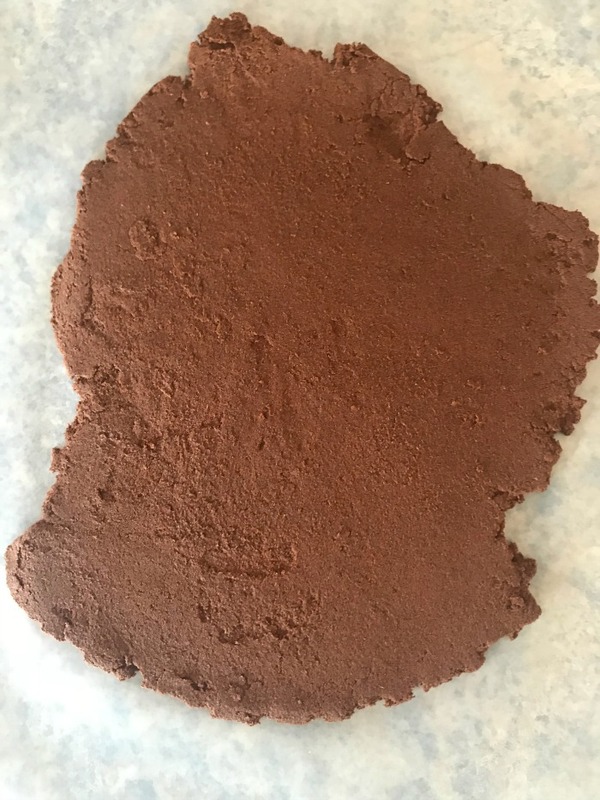 Roll out your dough on a sheet of waxed paper 1/4-1/3″ thick. 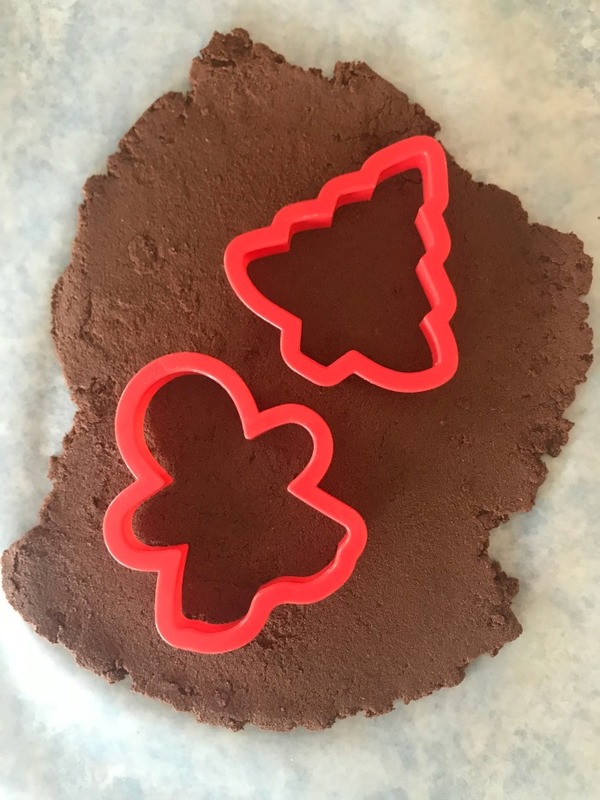 Cut with cookie cutter shapes (we chose a gingerbread man just like our book!) but you can use anything you’d like. Transfer to a baking sheet, using a straw or skewer make a small hole at the top for ribbon. Bake for 1 – 2 hrs at 200 degrees until hard. Let cool and add ribbon!